Freaky Friday in the MiX, Italo-Disco & High NRG! Every friday at 20:00 CET we program the best National and International mix Deejays. Italo-Disco & High NRG. Sometimes a classic but most of the time recently made or first on air, here on your Radio Stad den Haag. We start with a new Rhythm Kitchen mix. Every other week, Andre den Hartog mixes all the tracks that were played in last weeks Rhythm Kitchen show hosted by Marco di Luna & Andre. 2 Hours long with tracks from Cameo, Twins, Bartezz and 25 other tracks. Peter Duijkersloot closes this evenings line-up at 22:00 CET. In the series And the beat goes on back to the future edition 215. We re-run these mixes saturday at 16:00 CET ! Gwen 11-04-2019 . 1 Comment on Freaky Friday in the MiX, Italo-Disco & High NRG!. Categories: +mix, DJ Mix, Freaky Friday, Nieuws. Tags: Andre den Hartog, Disco-Mix, Discontinu, Discotheek de Marathon, Electro, Eurobeat, High Energy, Italo Disco, Italo dj Mix, Italo Internet Radio, Italo mix, New Generation Italo, Peter Duijkersloot back to the future mix, Radio Stad Den Haag, Radio Stad in the Mix, Rhythm Kitchen mix. Every other week, Andre den Hartog mixes aaaaalll the tracks that were played in last weeks Rhythm Kitchen show. Quite an efford.. Why? listen for your self. Gwen 28-03-2019 . Categories: +mix, DJ Mix, Freaky Friday, Nieuws. Tags: Andre den Hartog, Disco-Mix, Discontinu, Discotheek de Marathon, Electro, Eurobeat, High Energy, Italo Disco, Italo dj Mix, Italo Internet Radio, Italo mix, Marc Hartman, New Generation Italo, Radio Stad Den Haag, Radio Stad in the Mix. Gwen 15-03-2019 . Categories: +mix, DJ Mix, Freaky Friday, Nieuws. 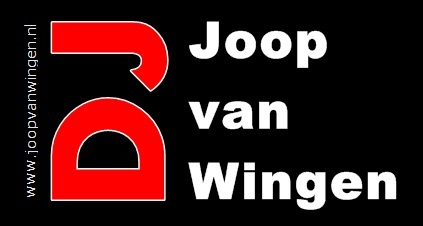 Tags: Andre den Hartog, Disco-Mix, Discontinu, Discotheek de Marathon, Electro, Eurobeat, High Energy, Italo Disco, Italo dj Mix, Italo Internet Radio, Italo mix, New Generation Italo, Peter Duijkersloot, Radio Stad Den Haag, Radio Stad in the Mix. Tony renzo is back again! First here on air.. Back2Basics New Italo vol 116. Next is Marc Hartman with Classics Mix 9… no playlist but allways a joy! Gwen 07-03-2019 . Categories: +mix, DJ Mix, Freaky Friday, Nieuws. Tags: Andre den Hartog, Disco-Mix, Discontinu, Discotheek de Marathon, Electro, Eurobeat, High Energy, Italo Disco, Italo dj Mix, Italo Internet Radio, Italo mix, Manuel Rios Herrera, New Generation Italo, Radio Stad Den Haag, Radio Stad in the Mix. Manuel Rios from Mexico kicks off with his monthly mix especially made for RSDH. So first.. on air, here is MARZO! Every other week Andre den Hartog mixes all tracks that he and Mark played in last weeks Rhythm Kitchen show..quit a job to mix Trance with Italo, Nu disco, disco & pop. Playlist in the comments of this post. Last half hour is for DJ Fifa& DJ West in the eighties series Italo disco vol 4. Gwen 28-02-2019 . Categories: +mix, DJ Mix, Freaky Friday, Nieuws. Tags: Andre den Hartog, Disco-Mix, Discontinu, Discotheek de Marathon, Electro, Eurobeat, High Energy, Italo Disco, Italo dj Mix, Italo Internet Radio, Italo mix, Manuel Rios Herrera, New Generation Italo, Radio Stad Den Haag, Radio Stad in the Mix.